The "Keep Austin Weird" slogan seen displayed prominently all around town was launched in an effort to promote quirky (some might say weird) local small businesses. It wasn't originally meant as a tourism or marketing slogan, but it has definitely grown into that role, and has played a huge part in keeping Austin the most quirky and original city in all of Texas, even possibly the United States. Instead of watching local small businesses fail, a whole new appreciation and demand grew for quirkiness that attracted more and more locally owned small businesses. Austin's official marketing slogan is actually "live music capital of the world," because it is famous for Austin City Limits show and the SXSW Festival. 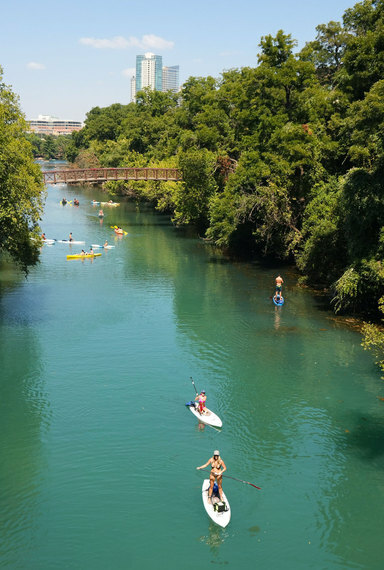 Live music permeates the Austin culture, but this fun town is about much more than just music and is an amazing place for families to visit and live. 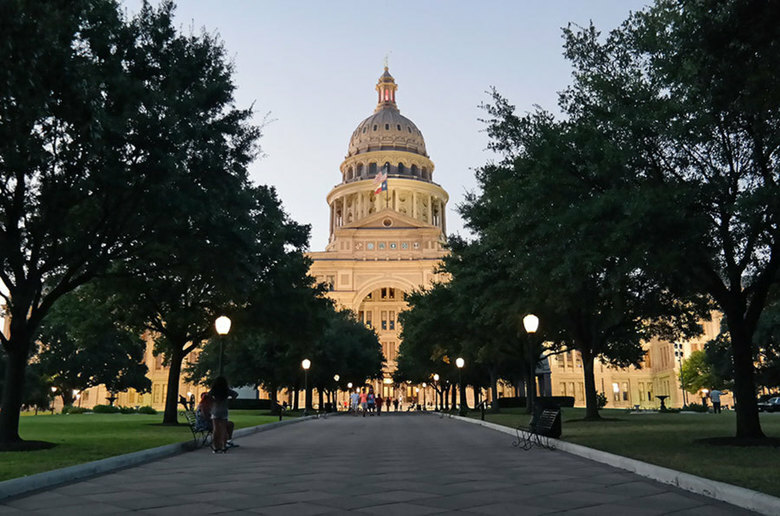 Here is a small collection of my favorite things to do in Austin offered with special thanks to my sister-in-law Lauren and her husband Greg for always showing us something new and cool to see in town. If you love live music, you might want to consider staying downtown in the historic Driskill Hotel, so you can enjoy the famous Sixth Street live entertainment scene. It's what Austin is best known for. The nearby 2nd Street District is a somewhat quieter downtown shopping district that features several fashion, interior, and children's stores as well as plenty of coffee shops and restaurants. I highly suggest you stop by Jo's for lunch. Texas State Capitol. Photo by Katja Presnal. 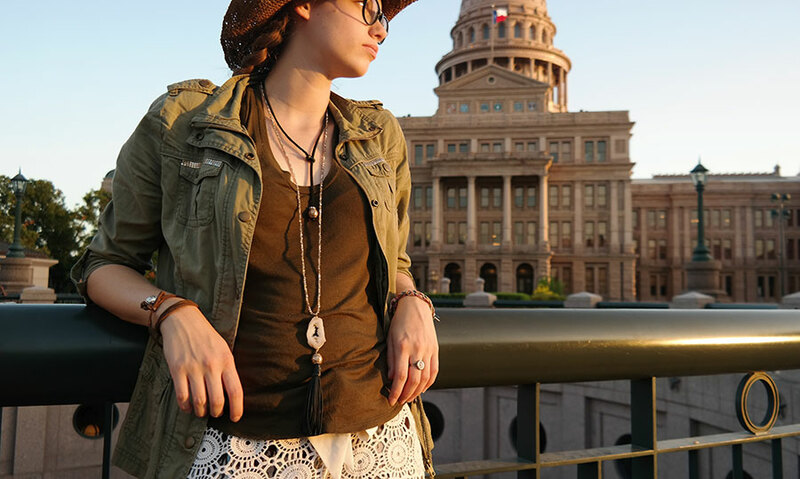 While you're downtown, stop by the Texas State Capitol, the biggest State Capitol in the US. The Renaissance Revival style Capitol was built in 1888 based on 15th-century Italian architecture. You can stand in the center of the building, under the dome, and see all the way to the top. Keep your eyes open; there are countless little "Texas" details to be spotted as you tour the delightfully air-conditioned and gorgeous building. You can expect that a city that boasts "watching the bats after sunset" as a tourist attractions is going to deliver on their promise of "weird." things to do. How about going on a bat kayaking tour at sunset, or attempting SUP (Stand Up Paddling) on the river? Both are pretty cool outdoor activities. SUP in Austin. Photo by Katja Presnal. 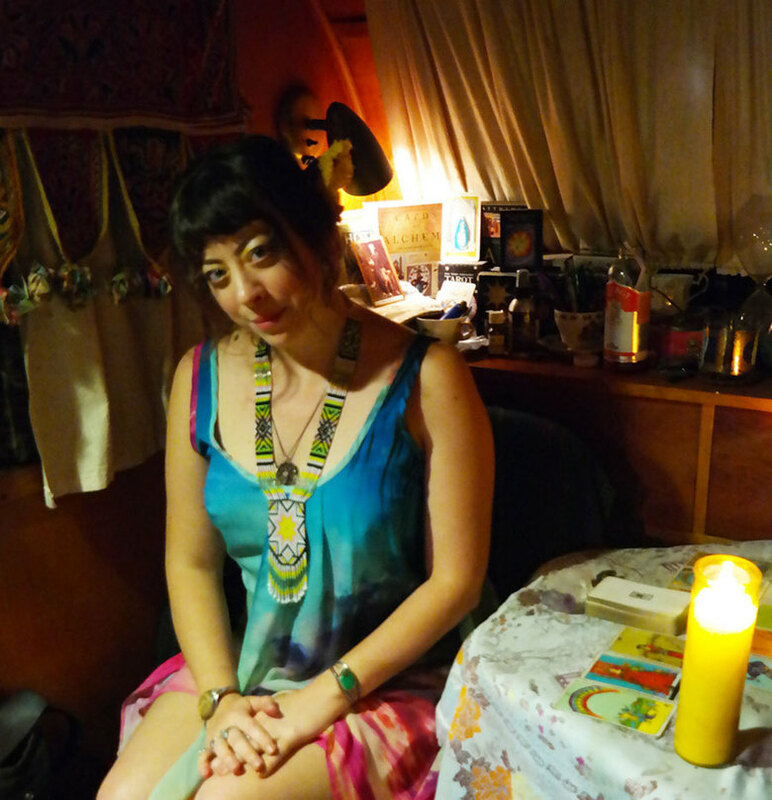 Or, see how visiting Austin has changed the course of your life by getting a tarot card reading while in town. Angeliska, better known as Sister Temperance, has a vintage 1940's style trailer in her backyard where she shares insights into people's futures. In a one hour session, Angeliska drew 15 cards and revealed enough to make me believe she's the real deal. Unique Austin experience: Tarot card reading by Sister Temperance. Photo by Katja Presnal. 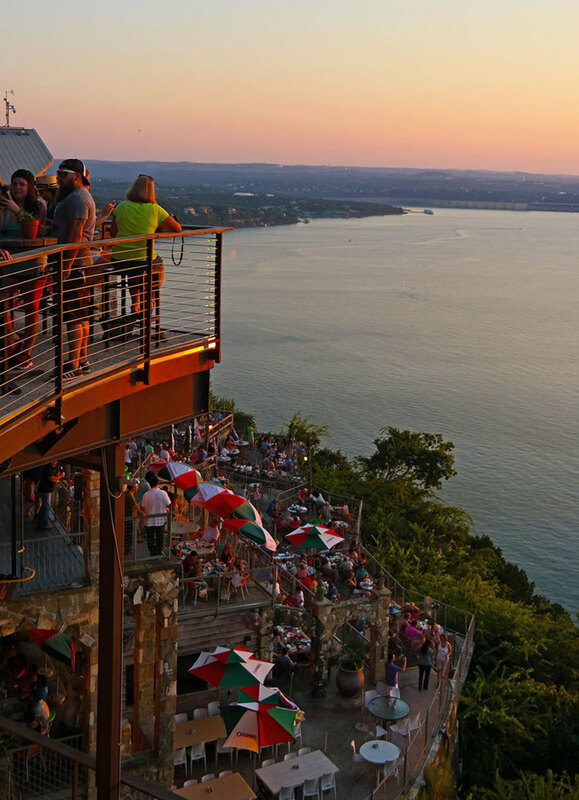 If live music, salsa dancing, sunsets, and margaritas tempt you, head to Oasis on Lake Travis on Sunday nights. The completely redone Oasis Texas Brewing Company features gorgeous views of Lake Travis and several restaurants, shops, and, yes, their own brewing company. Best time to go is on Sunday nights so you can take advantage of the salsa dancing lessons. When the sun starts setting and the golden hour bathes the lake and the decks of Oasis, people just bask in the sun as it goes down over the horizon. We went with the kids and our relatives because they said it was one of the safest places for families to experience the Latin dance culture. Oasis and Lake Travis sunset. Photo by Katja Presnal. Austin has an incredible art scene and one great place to experience local art is at the Austin Art Garage - the every person's art gallery. The co-founder of Austin Art Garage, Jake Bryer, told us that his passion to is to offer affordable art for every home. I quite like the sound of that! I specifically enjoyed all of the Austin-themed art, which made this an excellent non-touristy tourist shop for visitors. 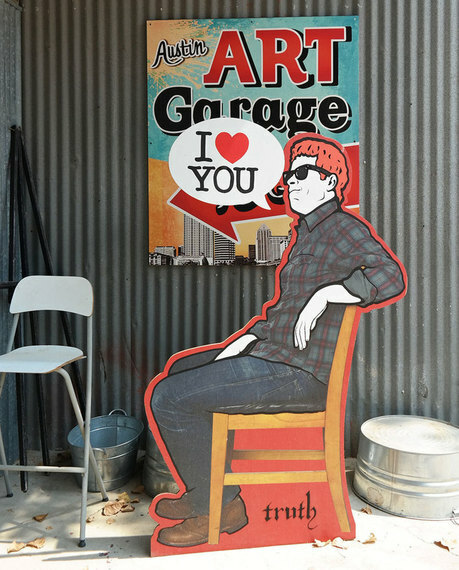 Austin Art Garage. Photo by Katja Presnal. ART On 5th on South Lamar doesn't really look like an impressive art gallery, but don't let the strip mall exterior fool you. Inside you'll find the largest collection of Dr. Seuss art, including art from his famous books, as well as never before published work. You'll learn that there was so much more to Dr. Seuss than you ever knew. For example, his secret art is said to be art he created at night time when his work as an illustrator was done. 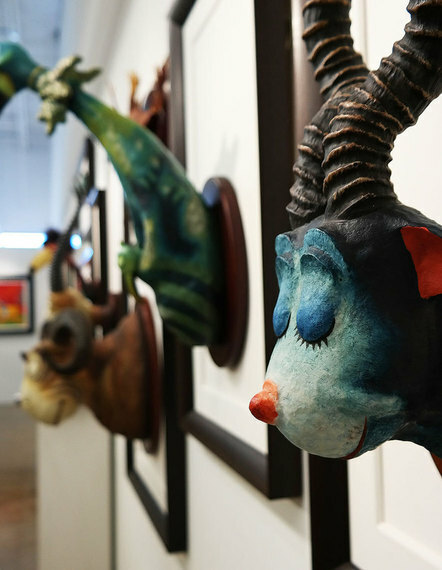 While the Dr. Seuss collection was the show stopper at ART On 5th, the art gallery is fairly large and features several other collections. ART On 5th gallery in Austin. Photo by Katja Presnal. I once asked an Austinite "what's trendy in Austin right now" and immediately got "the look." Austin is too cool to care about trends, and the more unique style you have, the better. That's why shopping in Austin is a pretty sweet deal. Uptown Cheapskate in Austin. Photo by Katja Presnal. 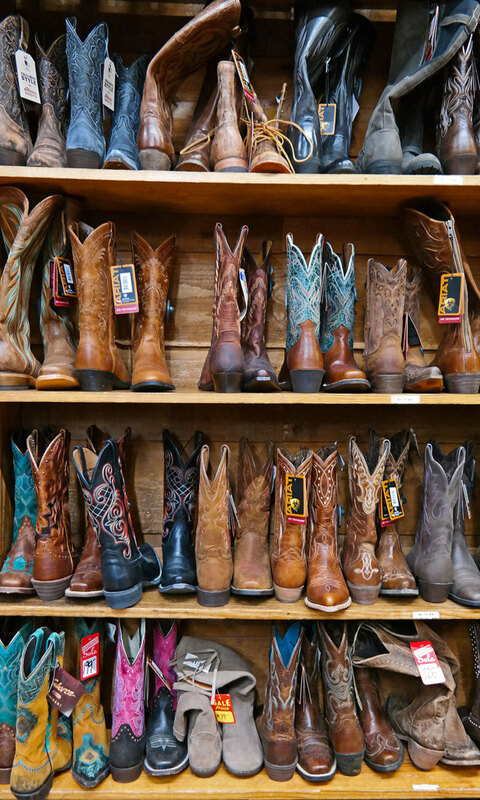 You'll find so many great boutiques all around town. Don't forget to also check out the secondhand shops and vintage shops! Uptown Cheapskate is a great secondhand shop that has a mix of boutique clothing, amazing selection of secondhand shoes, and cool accessories. 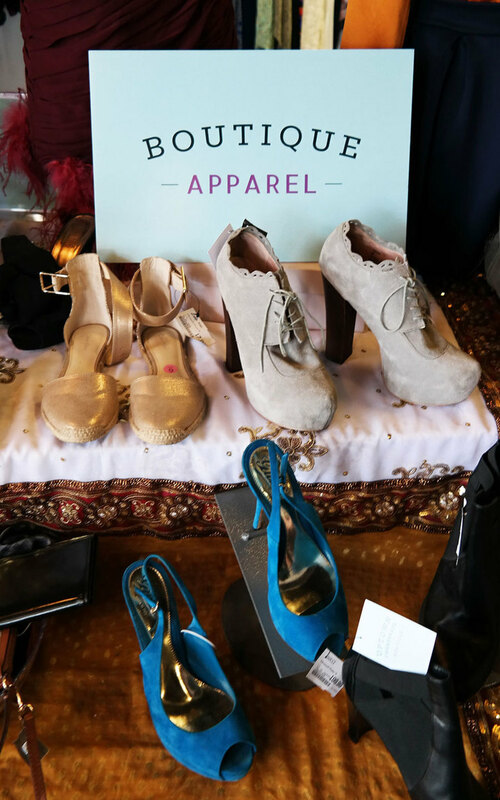 Austin Flea is a quirky market of local artisans that sell anything from luxury leather goods to handmade soaps to vintage finds. The flea market is held at the Highball, a retro chic bar next to Alamo Drafthouse, which are both worth a visit to on their own! But whatever you do... don't forget to make time to visit and shop at South Congress. SoCo is my favorite area in Austin for fun shopping, eating, and, well, just all around fun. The Gypsy Wagon offers everything to create your Boho chic Texas style, Uncommon Goods has vintage collections of everything from everywhere in the world, Tesodos Trading Company has treasures from around the the world, and of course, the famous Allens Boots has more cowboy boots on display than you've ever seen. This is definitely not your typical tourist shopping district, it's so much better. Allens Boots. Photo by Katja Presnal. When in Austin, don't forget to eat some BBQ. There is an on-going debate whether the best place is the Saltlick or County Line, and while Saltlick's BBQ sauce is finger-licking good, we opted to County Line by the lake on our last visit. Don't go just for the brisket, go for the good times by the dock. However, be warned, if you ask locals about their favorite BBQ joint, you'll get way more answers than just those two! The Picnic. Photo by Katja Presnal. 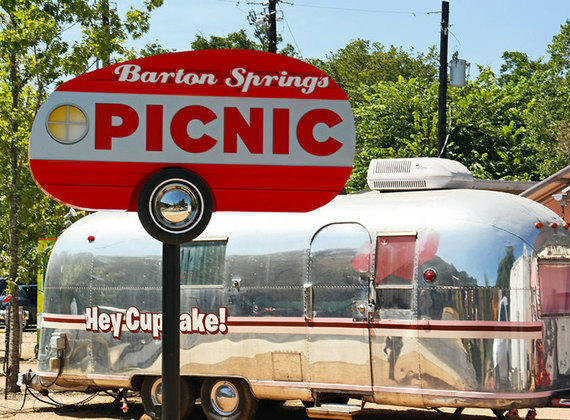 One of my favorite places to eat and hang out with friends and family is the Barton Springs food truck lot, The Picnic. I can't recommend enough going there with bunch of friends, each lining up at a different food truck to get a dish or two, and then gathering together to share everything family style. We had so much fun with my sister-in-law and her family tasting street food from almost all of the vendors at The Picnic. When the weather gets hot in Texas (and that's often! ), it's always nice to find something to do indoors with the kids. For budding archaeologist the Inner Space Cavern in Georgetown is a great place to go. 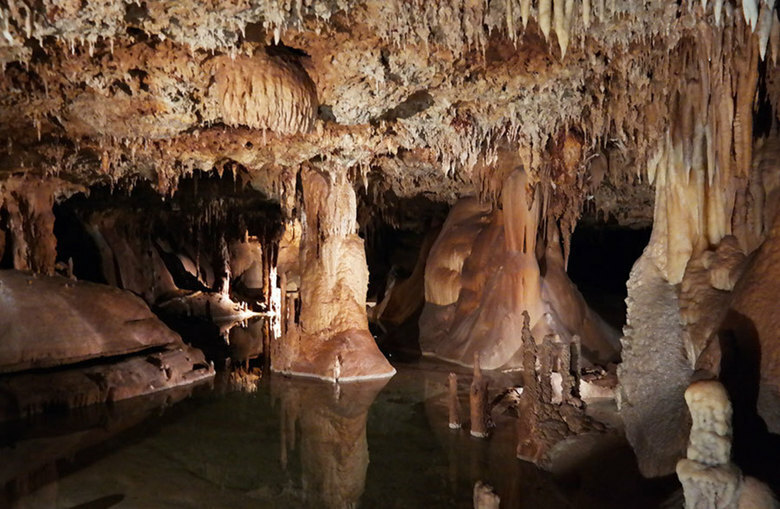 It's one of the best preserved caves in Texas and has been open since 1966 when it was accidentally discovered. Another great place for kids of all ages is Punch Bowl Social. It's a fun place for every generation with an excellent restaurant perfect for brunch or lunch, as well as a whole section of indoor fun including bowling, arcades, ping pong, and more. Inner Space Cavern. Photo by Katja Presnal. This barely scratches the surface of all there is to see, do, hear, and eat in Austin. See more things to do in Austin on my notemap, and add your own favorites on Findery.com. This post was written by Katja Presnal of Skimbaco Lifestyle on behalf of Findery and was previously published on the Findery blog. See more of Katja's travel recommendations on Findery.